I recently took my significant other out for her birthday and treated her to a nice day out at the spa at the Ritz Carlton Orlando Grand Lakes. The Ritz Carlton Hotel is located off of John Young Parkway just south of SR 528. This spa actually placed in the top ten best resort spas as part of a recent Conde Naste Traveller magazine survey. 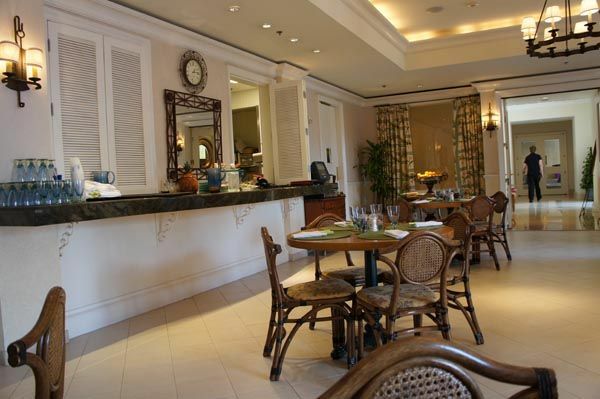 Inside the Ritz Carlton just downstairs from the spa is the Vitale Spa Cafe, where one can enjoy some very delicious offerings while sipping tea with a beautiful view of the pool side. 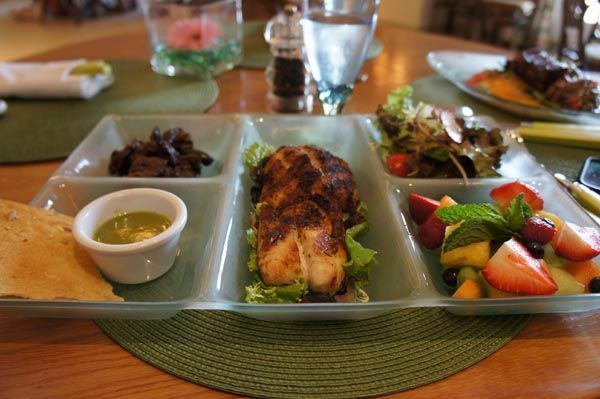 My partner chose the bento box with the Grilled Snapper with Fresh fruit, soy glazed mushrooms and mixed greens. The snapper was grilled to perfection, tasty and not too dry or too flaky. It reminded me of the way my dad used to grill fish in the backyard on summer afternoons when I was a child. 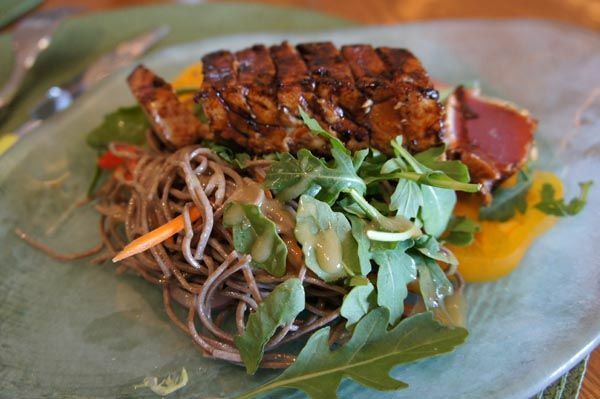 I chose to get the Seared Ahi Tuna with Heirloom Tomato and Baby Arugula, Soba Noodles, with Wasabi-Sherry Vinaigrette. 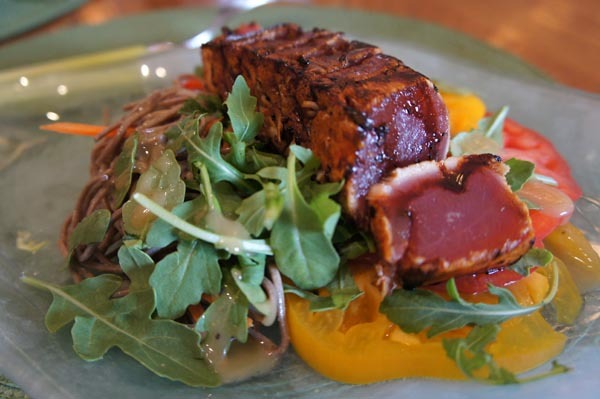 The tuna was seared just right and was extremely fresh and red, just the way I like it. The tomato, arugula, and soba noodles all went well together with the wasabi sherry vinaigrette. 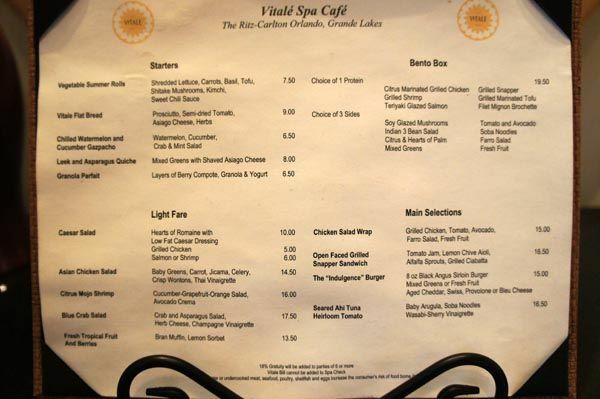 What I enjoyed most about my experience at Vitale Spa Cafe was its emphasis on fresh, healthy ingredients while also making the full flavors of the ingredients jump out in their dishes. The ingredients all went very well together and I was very pleased to find this unexpected gem of a cafe inside the Ritz Carlton hotel. Bento Box with Grilled Salmon and soy glazed mushrooms, fresh fruit, mixed greens. 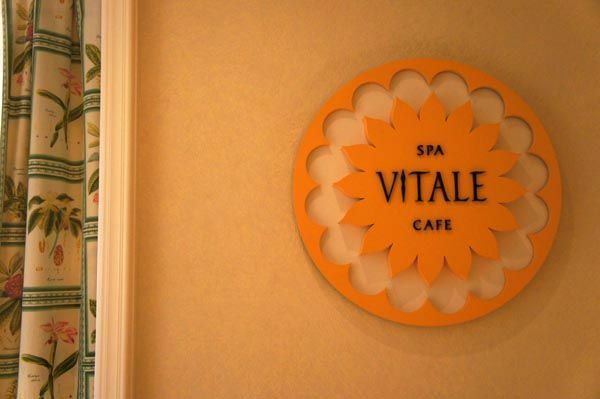 The Vitale Spa Cafe is open 10 a.m. – 4 p.m. from Sunday – Thursday and 10 a.m. – 5 p.m. on Friday & Saturday. 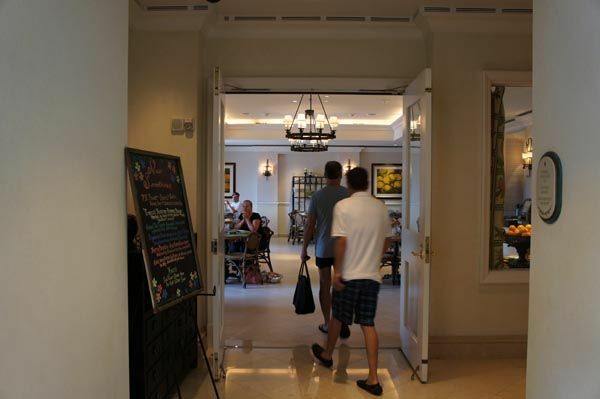 Located inside of the Ritz Carlton Hotel at Orlando Grande Lakes at 4012 Central Florida Parkway, Orlando, Florida 32837 USA.